What do hedge fund managers do? Hedge fund managers aim to buy good stocks and sell bad stocks “short” (that means borrowing bad stocks, selling them, and only buying them back to repay the loan after prices have dropped) in hopes of making money regardless of the market’s direction. 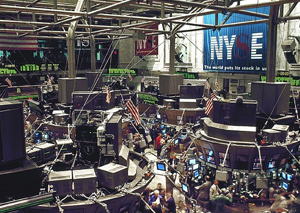 Hedge fund managers aim to put their funds in a “market-neutral” position. By buying good stocks and shorting bad ones, they believe that they have hedged away their stock market exposure. Theoretically, this means they make money regardless of whether the overall stock market moves up or down. If the market goes up, all or most of the stocks the funds owns or have shorted are likely to gain as well. However, if they have chosen their buys and short sales correctly, the stocks they own are likely to gain more value in total than the stocks they’ve sold short. However, profitable short selling requires superhuman timing, and the inevitable mistakes can be super expensive. The key to finding the “hidden gems” in penny stocks is to understand and avoid the risks that go with them. You get the benefit of Pat McKeough’s decades of experience—and his specific recommendations—in our special report, Canadian Penny Stocks: What You Need to Know about Handling the Risks and Reaping the Rewards, on TSI Network. Claim your FREE copy right now! Short selling stocks is a speculative, “negative sum gain”. Profitable short selling requires superhuman timing, and the inevitable mistakes can be super expensive for investors. Did you know that buying ETFs with a passive investing strategy can lead to much lower expense ratios? 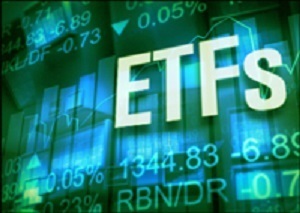 Traditional ETFs follow the lead of the index sponsor. This passive style keeps turnover very low, and that in turn keeps trading costs for your ETF investment down. Hedge fund investing may sound good on paper but in actuality, it requires superhuman timing, and the inevitable mistakes can be super expensive. Investment and consumer companies both work hard on their marketing, because it can attract customers and spur sales. But marketing can do a lot more damage with investments than with dish soaps, since it can make an inherently risky investment look safe.